It’s easy to buy Christmas gifts for someone just starting out in fly fishing, but with years of experience and a closet full of fly–fishing gear, gift giving becomes problematic. What can you put under the tree that will make their upcoming fly–fishing trips even better? 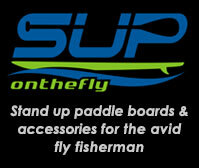 Here are some Christmas gift ideas to add to their gear collection. Yeti® Hopper™ Soft-Side Bag Cooler – The same intense cold-retaining performance of Yeti’s hard-sided coolers has been made into a handy tote for any excursion. Durable DryHide™ shell is leakproof and includes closed-cell foam ColdCell™ insulation to keep ice frozen for days. Carson® Clip-On Magnifiers – Get an up-close view when tying flies. Easily clips onto regular glasses and flips down to show every detail. 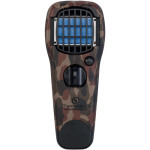 ThermaCELL® Mosquito Repellent Appliance with Holster – Get 225 square feet of mosquito-free fishing area for up to 12 hours. The holster conveniently allows portable use for wherever your trip takes you. Cocoons® Fitovers Polarized Sunglasses – Wear over your prescription lenses for clear, glare-free vision. Hard-coated, scratch-resistant Polaré® lenses protect against UVA and UVB rays and provide a clear view to underwater action. For years of dependable wear, the SoftTouch™ frames carry a lifetime warranty against breakage. Cabela’s Insect Defense System™ Long-Sleeve Camp Shirt – This lightweight shirt incorporates the No Fly Zone™ fabric treatment, permethrin, which is effective against ticks, mosquitoes, ants, chiggers, flies and midges. The moisture-wicking, quick-drying polyester construction also has a UPF rating of 50 to protect against the sun’s harsh rays. 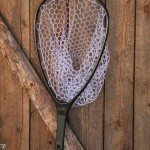 fishpond Nomad Landing Net – Nomad’s carbon-fiber and fiberglass construction is waterproof, weatherproof and buoyant for reliable use out on the water. Its rubberized paint finish delivers a serious grip and the rugged rubber nets won’t snag hooks or get tangled around wriggling fish. Choose from overall lengths as short as 25.5” or as long as 55”. 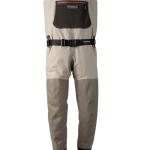 Simms® G3 Guide Stockingfoot Waders – These waders sport an articulated fit for optimal mobility in the water. Plus, you get several layers of GORE-TEX®’s renowned waterproof performance, a removable flip-out Tippet Tender™ pocket, built-in gravel guards and more. 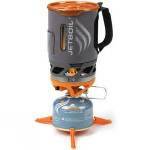 Jetboil Zip™ Personal Cooking System – When you need something hot to get you going in the morning, the Zip offers an 0.8-liter cooking cup with an insulating sleeve, adjustable burner, a drink-through lid with pour spout and strainer plus a bottom cover that can be used as a measuring cup or bowl. Cabela’s CGR Fiberglass Fly Rod – Back by popular demand, the CGR combines classic looks with contemporary performance. The CGR delivers the deep, full-flexing actions of traditional fiberglass fly rods but has been improved with high-grade components and the latest in rod engineering. This fly rod is ideal for delicate presentations and tight, short-range casting. 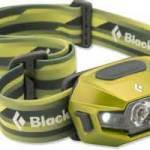 Black Diamond® ReVolt Head Lamp – This lightweight, waterproof headlamp has two red LEDs to preserve your night vision. The ReVolt also includes one 110-lumen LED main lamp and two secondary white LEDs to emit an energy-efficient beam for short-range use. For those that love a fly fisherman (and fly fishermen who want to drop a few hints), hopefully this list has been helpful in making your Christmas shopping easier.